To create opportunities for people of all faiths, beliefs, and walks of life to receive Louix's darshan (the blessing received by way of the Master's gaze or touch). To train individuals how to attain self-mastery and Enlightenment—through retreats, seminars, pilgrimages, courses, public audiences and programs, and through the distribution of Louix’s published teachings in all media. To publish Louix's teachings in books, tapes, films, CDs, television, radio, and other media. Louix’s teachings are entirely non-denominational, open to all walks of life, and stem from the same ageless and eternal wisdom, love, and truth which is at the core of every religion. 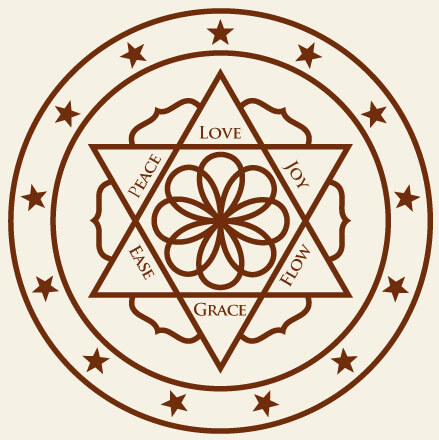 To create a new paradigm of “sacred family” in this world, which includes educating people about natural, home Lotus-birth, holistic parenting, and creating divine relationships and partnerships. To create eco-friendly (i.e. “green”), self-sustaining (off-the-grid), organic farming communities that are anchored in and sourced by Louix’s teachings, and which preserve and proliferate Earth’s natural resources. To coordinate global service projects under Louix’s auspices and/or in his name. To teach and advocate vegan living as the healthiest lifestyle for all humanity, as well as the most viable for our planet and its future, through the dissemination of Louix's holistic teachings about spiritual nutrition, physical detox and purification, and preservation and purification of our earth and its environments. To produce events, programs, and projects in the creative arts (including music, literature, fine art, photography, dance, theatre, and film) and to sponsor and otherwise support similar projects produced by other groups and organizations.